"This one looks fairly simple but still a challenge." 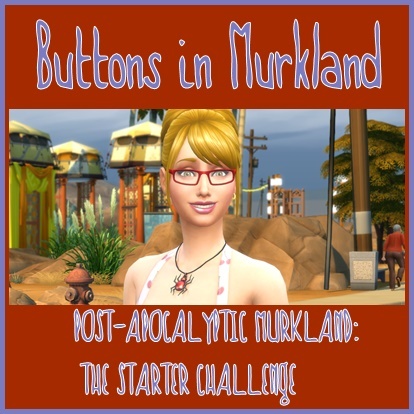 Remember me saying that in the Sims 4 Game Challenges thread? 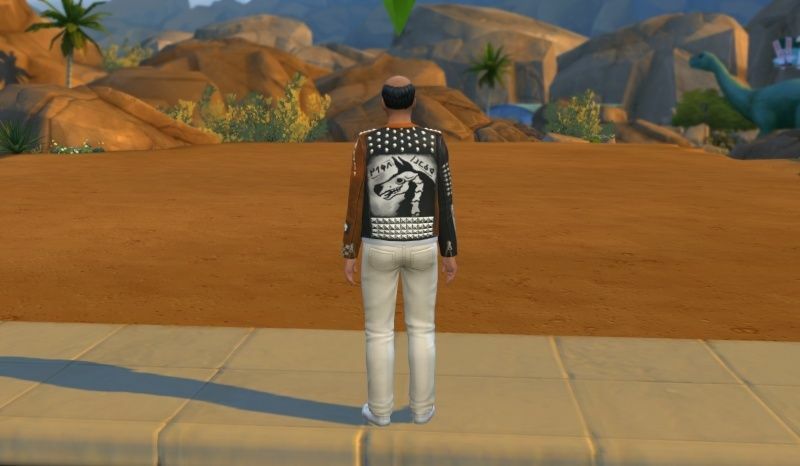 Quote by "Katoregama: The Sims 4 Room Challenge is meant to test your management of social activities without the presence of other Sims. 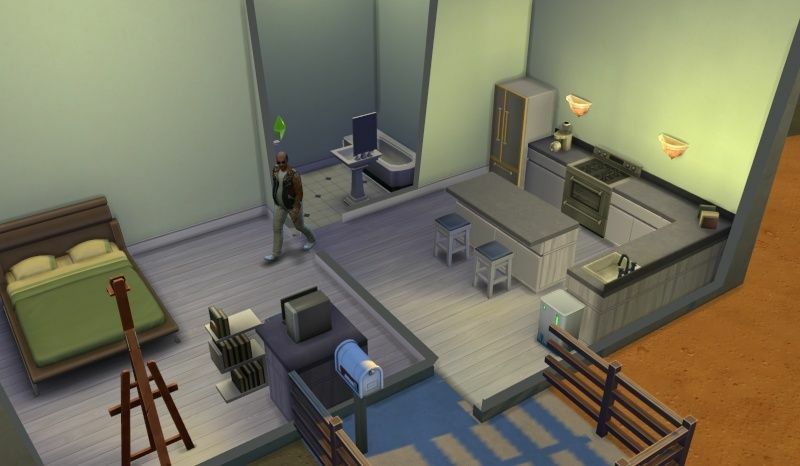 You build an 8 x 8 room on any lot of your choosing, move your Sim inside, and then delete the door! 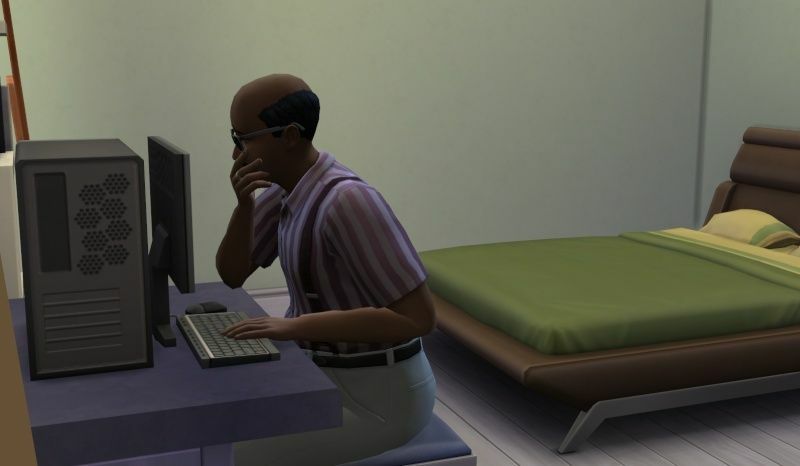 Your Sim may not leave the room until the challenge is complete. 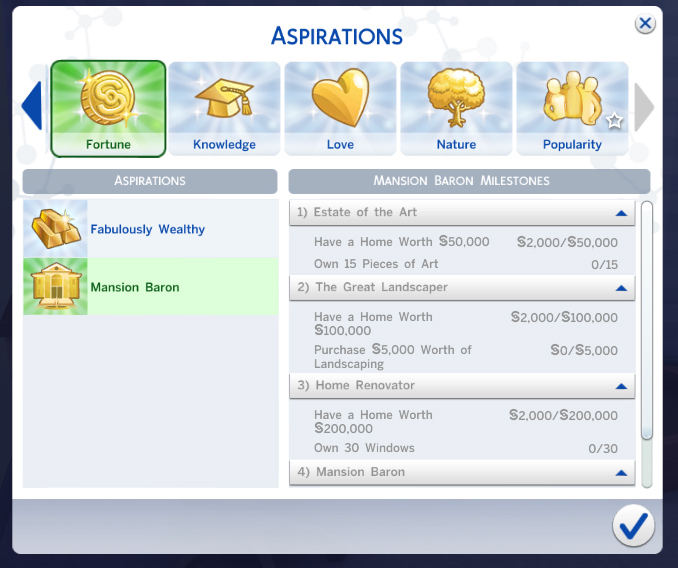 The final goal is to complete the Mansion Baron aspiration without ever getting a job, friends, or exiting the allotted space. My Vict.... um Volunteer is Waldo Hughes. A likeable sort of everyday guy that just kind of fades into the woodwork. Where is Waldo? Like his distant cousin Howard he is a bit of a recluse and like his namesake he is seldom seen. 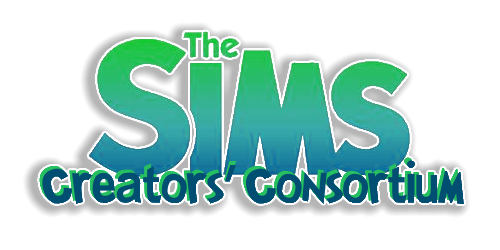 Like most of challenges a new game is created with an unsuspecting .... fresh from CAS Sim. Waldo: Is this it? Where is the Mansion? I was promised a Mansion. It is right here in the contract. EQ: See that right there? That tiny print at the bottom? You agreed to participate in this ... experiment with the possibility of Earning a Mansion. EQ: Sorry did not catch that ... ? Waldo: Nothing ... just checking the fine print to see what else I missed. EQ: Well... there is one more thing... You cannot leave .... no outside contact except thru the computer. Your phone has been replaced with a blank you. No phone numbers except to order supplies. You have limited access to on-line Chat servers but there is an identity blocker. All chats will be anonymous and you will not really get to know anyone else in the chat rooms. The fridge is fully stocked and you can cook anything you desire. You can also order books if you like. There is no repair service so if it is broken you will have to fix it. Waldo: At least I have a computer so I can write to earn some money. EQ: Well gotta go .... oh and no gate so you cannot leave. "Move into any vacant lot you choose. You get to use all of the game's initial starting funds to help you get on your feet. Every lot is available as long as they are empty and bulldozed when you move in. Once you do, build an 8 x 8 square room. You don't necessarily HAVE to build a box, but keep the maximum tiles around 64." I used a couple of the rooms from the game library for size and placement. Then I deleted any really expensive stuff as a trade off for other things Waldo would need. 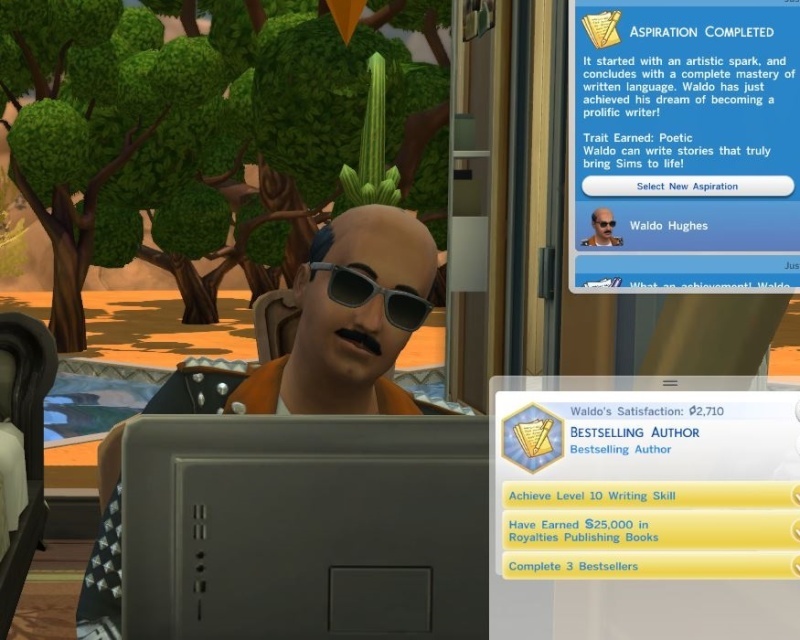 Since he has the Best Selling Author aspiration he would need the mailbox. So a cut out a corner for a fenced in outdoor spot. I made the rooms three stories tall to maximize window space. 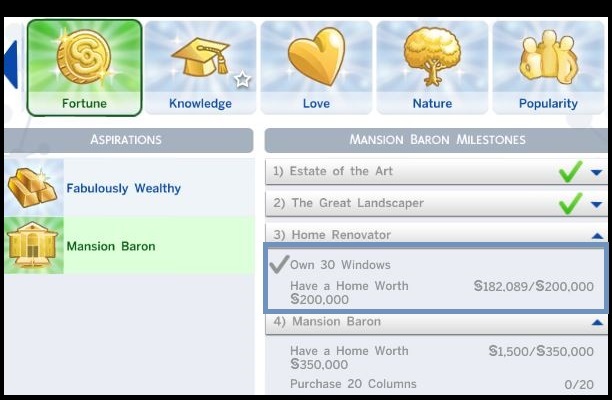 The 3 story windows are only 30 Simoleons each and I knew I would need 30 windows to complete one of the goals. I was able to afford a computer by sacrificing a desk for a counter and bar stool. Of course the computer broke straight off..... I was holding my breath and trying to stay calm every time he had to repair something electrical. Which happened often. Fridge ... stove ... all the plumbing... everything broke often. What? 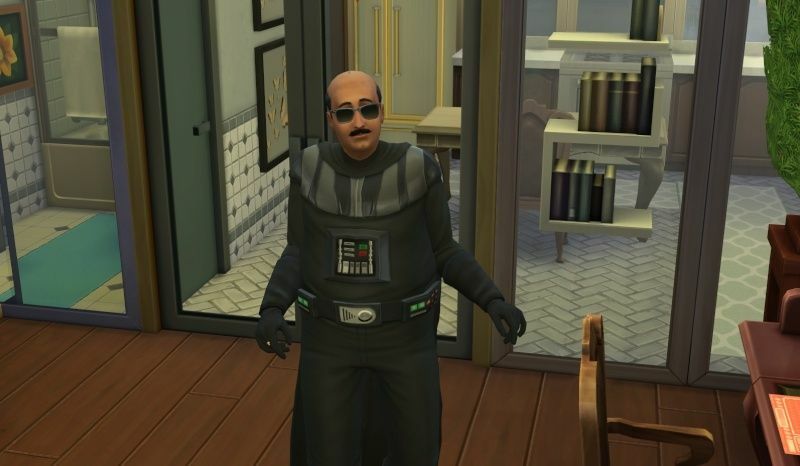 You mean you do not walk around in a Darth Vader Suit? This will be fun to follow EQ. Has he gone stir crazy yet? There was lots of whimpering and whining and THIS happened on a regular basis. 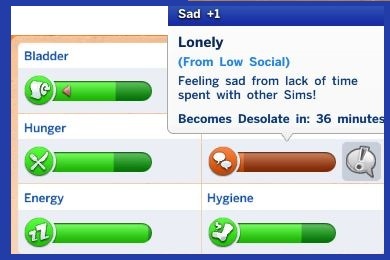 When a Sim gets very Sad there is the option to call the Sadness Hotline. Waldo and the Sadness Hotline workers were on a first name basis. He was writing like a Madman and wrote dozens of books.... when he was not calling the Hotline or chatting on line or getting Pen Pals. Still not close enough. For those not familiar these are some of the early goals. And eventually I got to this stage. He did achieve the following goals. The Mischief skill was maxed by Trolling Teh Forums to increase Social. 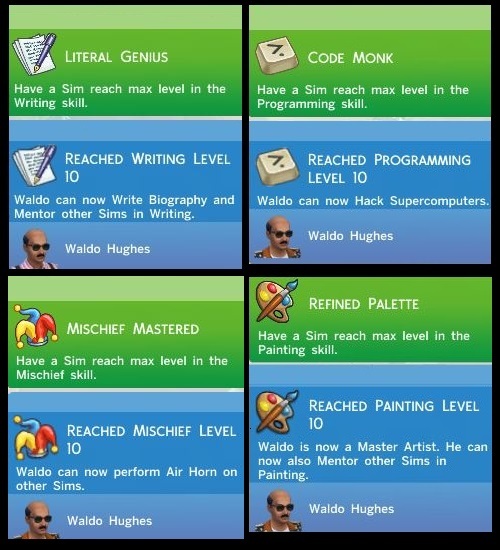 Waldo was one day from his Elder birthday which means about 40 Sim days had passed. That was when I made the Executive decision to use a Youth Potion. To that point I was not using potions or rewards. Waldo was pretty much independent in resolving his needs. If in the red I would just poke on the need and let him figure out how to resolve it. I did direct him to take Inspirational Showers once enough was earned to replace the tub with a shower. I already altered the lot before taking final pictures. The living space can not be expanded but I did update to more luxurious wall coverings, flooring and decor. A second floor was added and filled with the highest value columns. A whole army of statues was added to add to the lot value. Waldo was getting close to being an Elder ... again... when I gave up. A second Youth potion and Mood Solver was gifted to him. Everything was sold and a complete furnished lot plopped in its place. Waldo FINALLY got to meet the now aging population of the world. Waldo was last seen dancing in the street in his Darth Vader outfit and he was SOOOO Happy. I did this all in one day on Sunday. I may try again but need to rethink my strategy. Maybe Childish (can talk to the Blarfy toy) or Insane .... wonder if talking to Self raises social. You START with a score of 100 points. - 1 for every day that passes, excluding day 1. - 10 for every time the social need reaches critical. 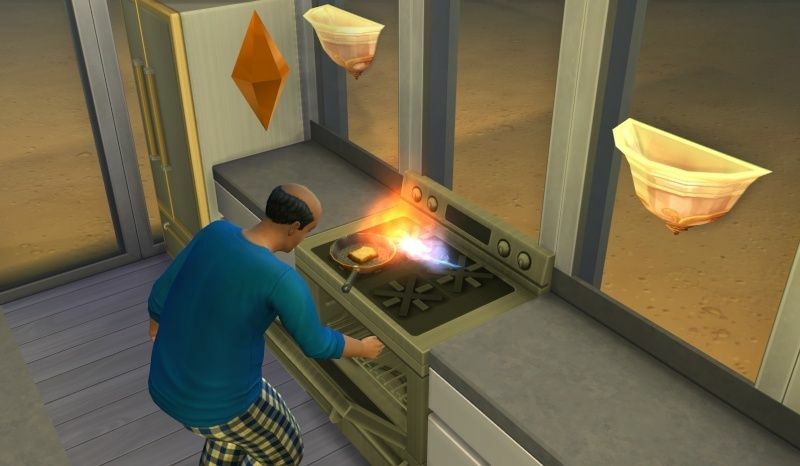 - 10 every time utilities are shut off from unpaid bills. +10 for every skill that reaches level 10. ***You cannot complete any aspirations requiring you to leave home or make friends. So you will not be able to complete many aspirations in full. That is why it is +5 for every stage, making it +20 for every aspiration fully completed. There is a scoring guide but I lost track of Waldo's Social Needs Crashes. -50 / Probably played about 50 (?) 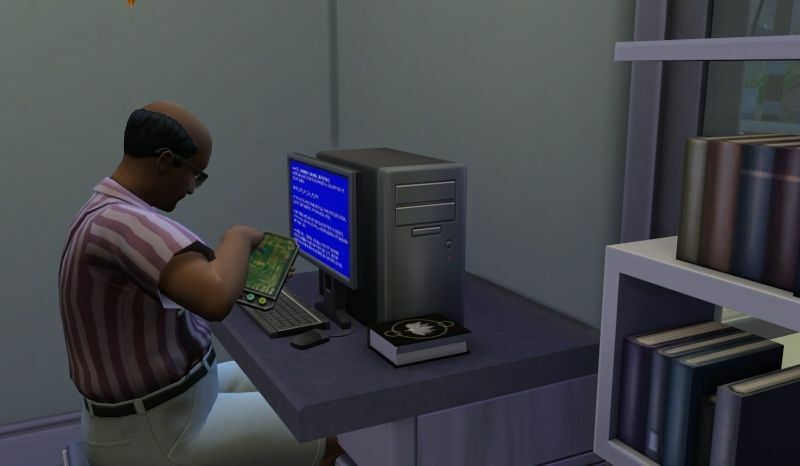 Sim days. *No Penalty /Bills were always paid so no utilities were cut off. +40 /He Maxed Writing, Painting, Mischief and Programming. 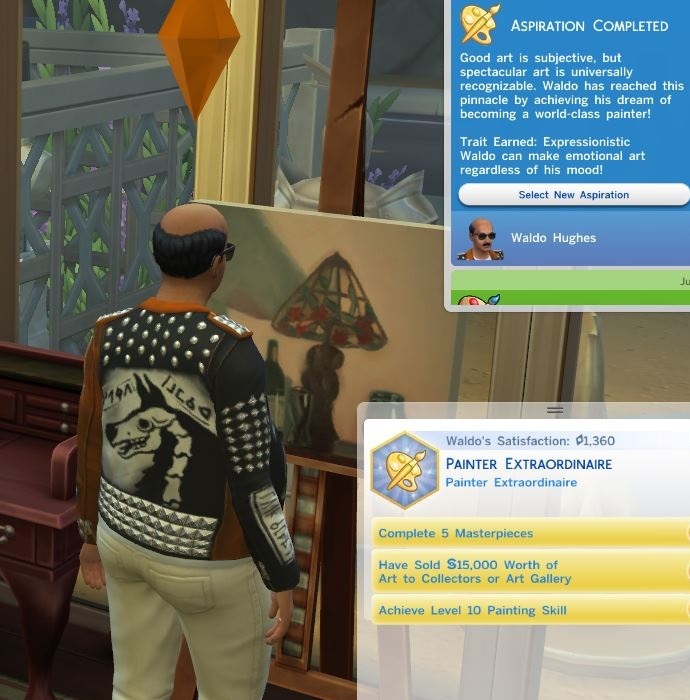 +30 /Completed Aspiration levels 4 each in Writing and Painting and 2 in Fortune. It was an interesting diversion .... kind of like Asylum Challenge - Party of One. Looks like it was fun-ish! Love Waldo and his Vader suit. The mailbox was in an enclosed outdoor space. Even though the mailman cannot reach it the mail appears in the mailbox. Good for Waldo. Sounds like it would be difficult to achieve. The mail goes in the mail box, but no one can retrieve it? You just need it for paying bills? I guess that makes sense since he can't leave the house. Yes, a difficult challenge. The mailbox was placed inside the limited space required for this challenge. It has to be outdoors so I used some of the spaces to put the mailbox outside then fenced it in. 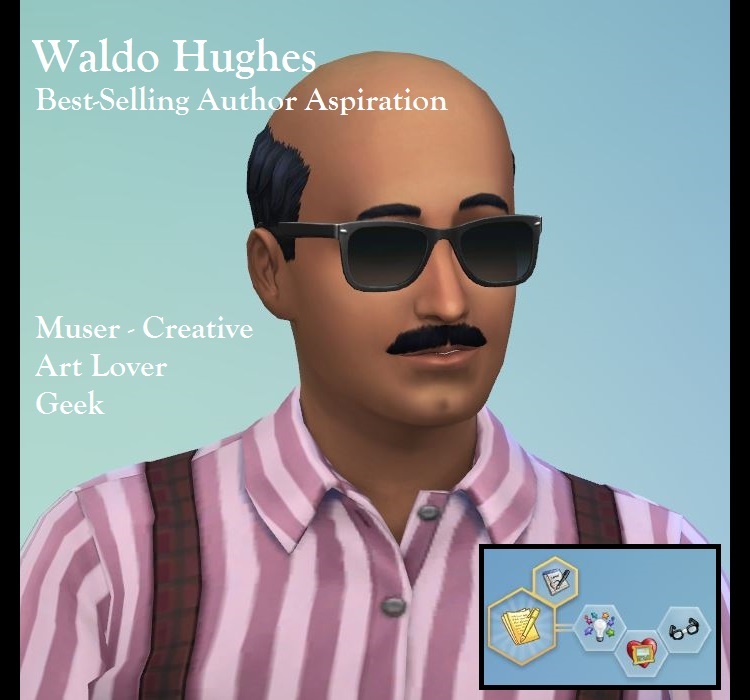 I wanted to make it so that Waldo could get to the mailbox to submit his books to the publisher. He can also pay his bills in the mail box as usual. It's just that the postmen could not get to the mailbox because it was behind a fence. But evidently even a fence cannot stop your bills from arriving. Sounds a little like real life!